I would bet a week of my salary against a week of his. Nothing wrong with moving up in stakes. i predict we see more of these about andre in the near future. seriously...not even a sarcastic or snakry rhetorical comment Why do you waste your time following a team that you hate at least 50% of the players, the coach, GM, and owner? Particularly living in an entirely different city like Chicago where there's more than enough stuff to take your attention. If this was my feeling, i'd be taking a hiatus until major changes took place and certainly not wasting my time to make snarky negative comments on a message board pooping on said team. To each their own I guess. you can take personal shots at me all you want, it wont change the fact that your team drafted christian hackenburg. i guess id take my anger out on other people too if i were you. The sad part about this is that it's pretty clear the rest of the league has caught on and SVG missed his window to move Dre for any value. Now we either live with him or make a less desirable trade just to get out of the contract. Looks like SVG is going with the first option and trying to surround him with harder working players in the hopes he can salvage a portion of the value of the contract he gave him. I think this time next year, Andre won't be SVG's problem. And that isn't a trade prediction. with skeptical posts like those, bishop is going to be all over your heretical asses. i mean, why do you even watch the games if youre going to be so negative? 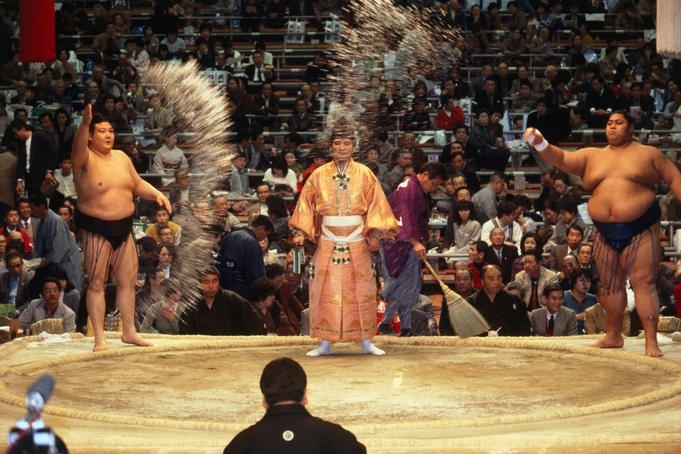 There is more salt being thrown around in the various forums today than the whole of a sumo tournament. How many HOF'ers have retired from football while still at the top of their games rather than play for the Lions now? But yeah... I guess why not throw stones when all your windows are already shattered. your entire post was a personal shot! its your usual "why are you even a fan if you dont think everyone on the team is awesome" bull****. its like you decided to stop going after syd and now youre going after me. It was an honest question, not an attack. You hate AD, Jackson, Stan, SVG, Gores, and Ellenson. Pretty sure you don't think much of Harris, Tolliver, Boban, Leuer, or Galloway. I don't question why you're a fan at all. I simply don't understand why you spend so much time here when thats the case. Whats funny is you guys all think I'm sunshine and rainbows all the time when I hate just about everything. My sports teams are the one place I always see the postitve side because that's the f'n point, particularly in the off season. (**** my crazy brain right now is worried the Jets will win too many games this year). If I wasn't though, i would find other things to do with my team then ***** on a MB about a team I theoretically say I like when they're 0-0. It is entirely possible not to like the construction of a team or the players on a team but still want to follow the team. I would guess that is how most people feel about this team. Still a fan of the laundry, not necessarily encouraged by how it is constructed. because this is a place to vent and talk about sports. you can be critical and still be a fan. ...i just know he wont be. Heck, I'll tell you there have been some youth teams I helped coach that I did not particularly like a decent number of the players / families and had to interact with in as positive a way as possible. i've had a large number of teams i don't like who have forced me to change the channel. All of this angst centered around a capped out team that finished out of the playoffs. Why can't we all bound over something positive? Why can't we focus on a former Piston great being inducted into to the hall of fame? Why has his jersey retirement not been announced yet? True. But I pride myself in the fact that it was the most competitive 4 game sweep one has ever seen. I think by the end of the season, Moreland is getting the majority of the minutes at backup C. Mostly based on his defense and rim protection. Not ready to predict a playoff appearance for the Nets. But Cleveland will not get a top 5 pick from them, I'm confident in that.